Wear it in purple! The Kera-10 is an adorable MaryJane platform shoe. 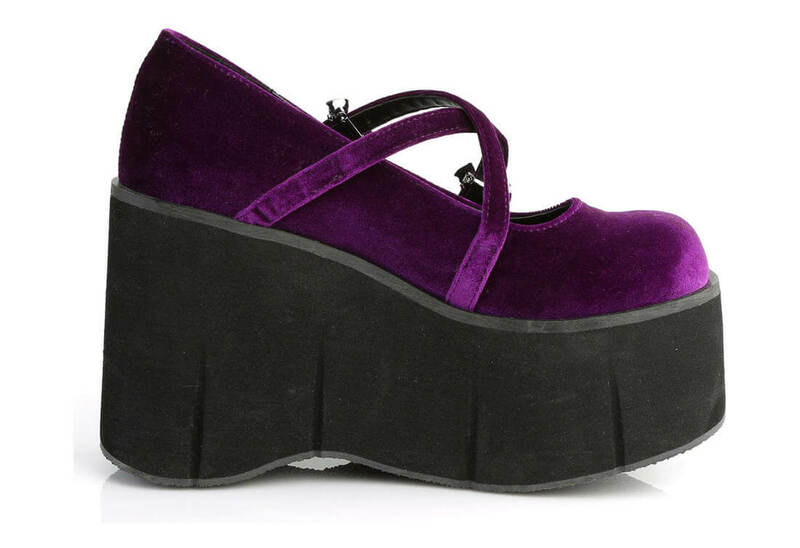 In soft purple velvet the front of these shoes have criss cross straps with two small silver bat buckles. The light weight platform measures 4 1/2 inches tall.